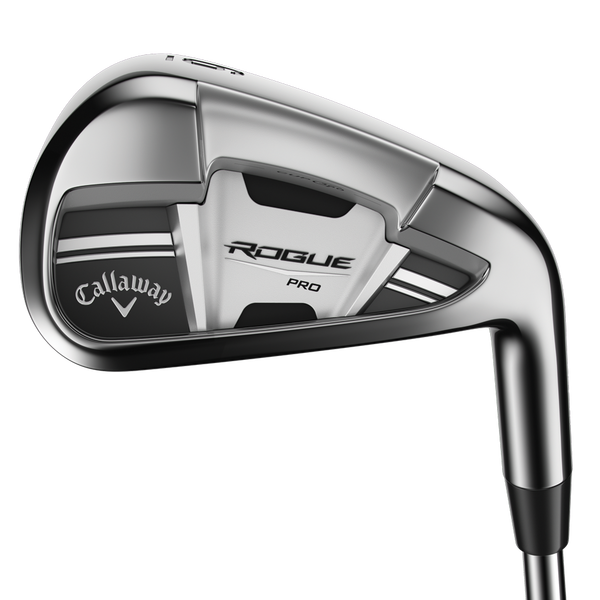 The 3 Callaway Rogue irons models, new for 2018, have something for every level of golfer. The models are called Rogue, Rogue Pro, and Rogue X. Each model has different strengths and appeals to a different type of player. Here’s a closer look at the features of each model. 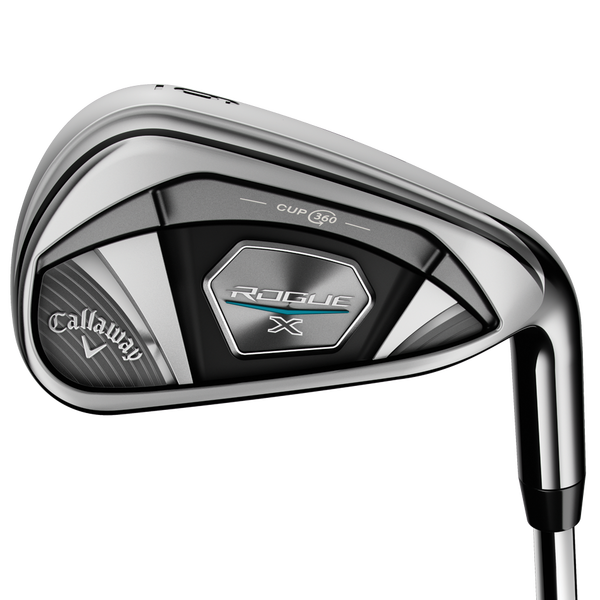 Callaway returns the popular 360 Face Cup and Variable Face Thickness (VFT) in the Rogue irons. Both features are designed to produce faster ball speed on a larger portion of the club face. 360 Face Cup wraps the face around the body, flexing and releasing at impact. This motion creates a springboard-like effect, increasing ball speed across the face. VFT raises ball speed on off-center hits. The club face has different thicknesses and is thinner around the outside. Shots that are hit on the thinner parts of the face benefit with the added ball speed from the thinness. Tungsten weight near the sole of the Rogue irons allows for a more precise CG location in each iron. This leads to the perfect launch angle and spin to maximize performance in each iron. Long irons launch high with lower spin for distance and forgiveness. As you move down in loft/length, the ball flight lowers but with more spin for better control. Why use tungsten, though? Callaway engineers use tungsten because it weighs twice as much as steel. Therefore, more weight can be focused in a specific location. The last shared feature of the Rogue irons addresses the sound and feel of the clubs. The space between the face and back of the Rogue irons is filled with urethane microspheres. This material dampens the sound and reduces any vibrations that result from having a thin club face. 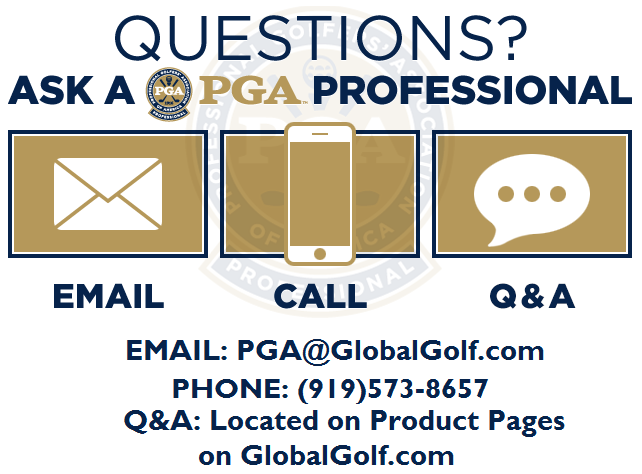 The urethane microspheres also don’t compromise COR or ball speed. Who Are Rogue Irons For? The Rogue irons have a medium sole and top line width that are easy to hit. These clubs are perfect for the mid to high handicap player looking for more distance and forgiveness as well as a confidence inspiring look. The Rogue Pro irons feature a thin top line and sole as well as compact head design for a more classic look. The Rogue Pro also has less offset. Overall, the design of the Rogue Pro is typically preferred by better players looking for the ability to work the ball. The Rogue X irons are all about maximum distance. 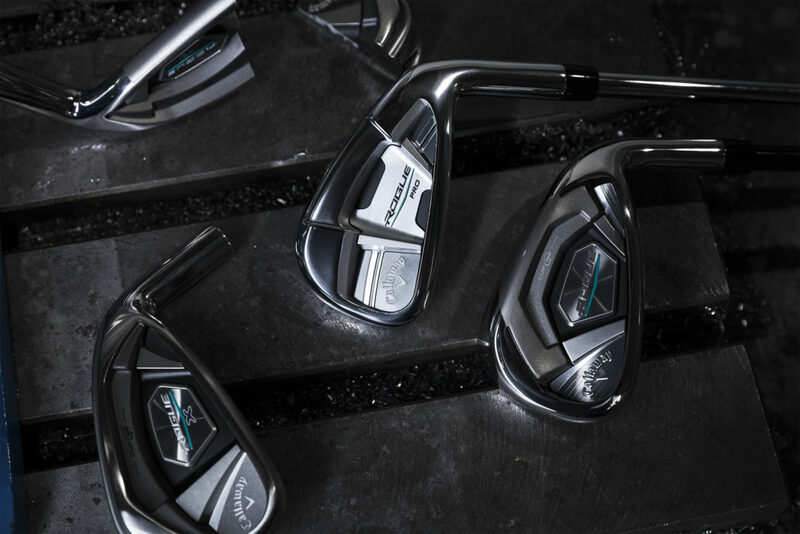 Their stronger lofts (7 iron is 27 degrees) combine with longer, lighter shafts and a fast face for more distance and higher launch. 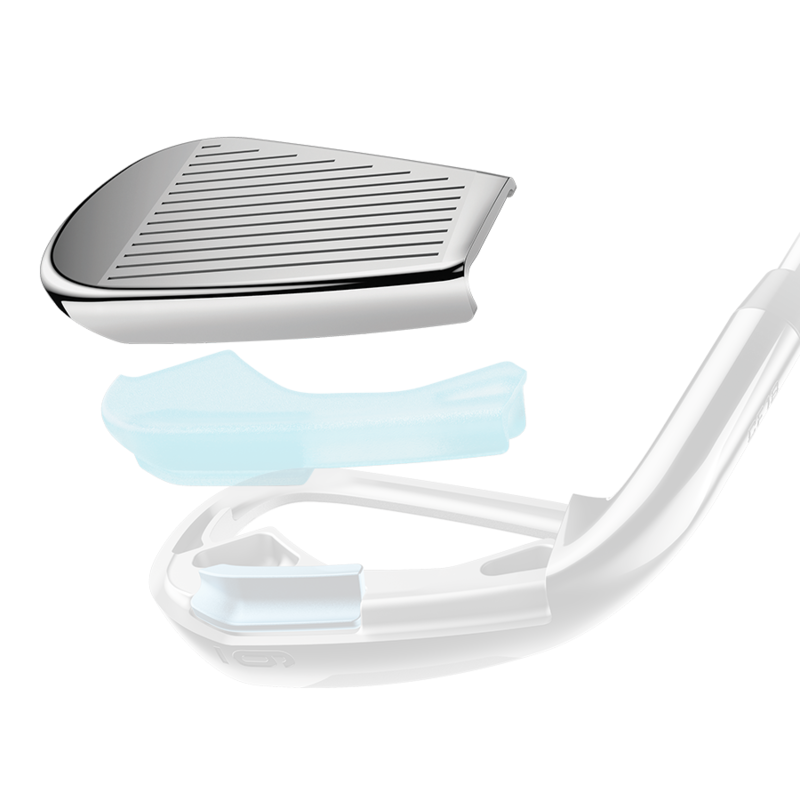 Golfers looking to get the most distance possible will gravitate to these irons. 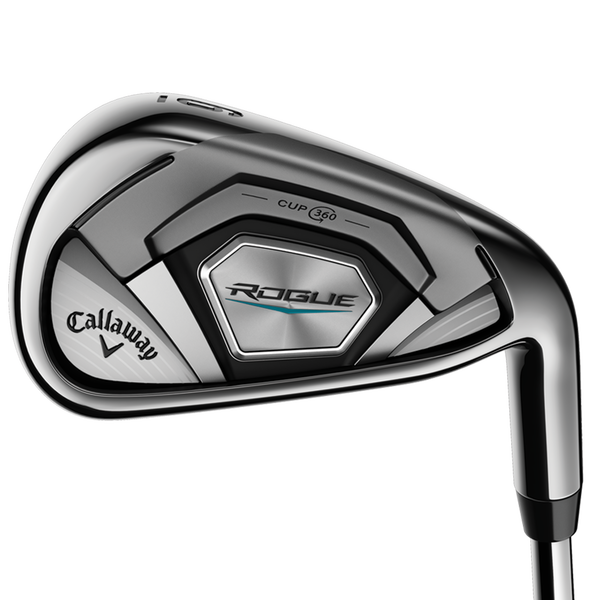 The Callaway Rogue iron family has an option for any level of golfer that wants superb feeling distance. Looking for more irons reviews?